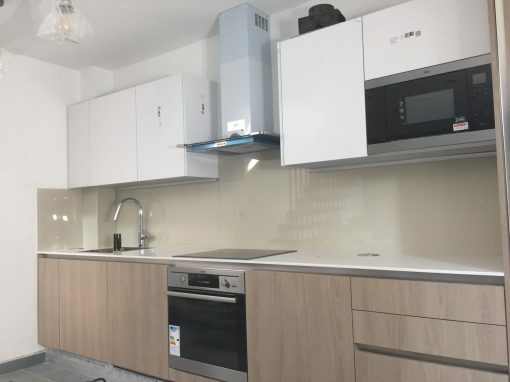 Our full commitment at Southern Toughening Glazing is to provide your kitchens with glass kitchen splashbacks of top-notch quality. 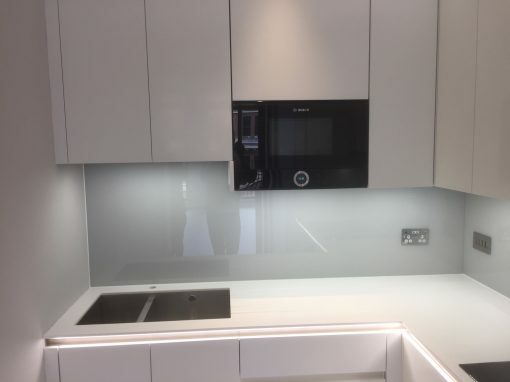 This is why we produce our splashbacks with 6mm toughened low iron glass to make it an excellent choice for your Bethnal Green kitchen. 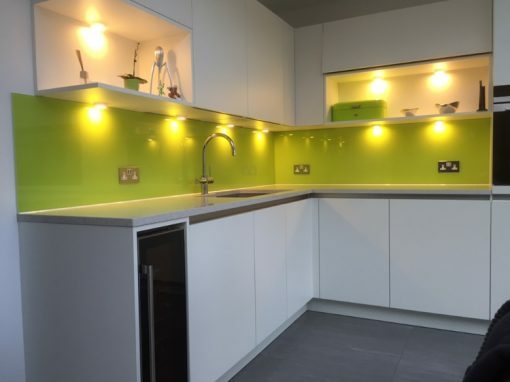 The reason why our splashbacks are made with low iron glass is that the green tint usually found in the normal obtainable glass is absent in glasses made with low iron. This provides an untainted clear glass color. This will enable our kitchen splashbacks to fit in seamlessly with the existing color scheme of your Bethnal Green kitchen. If you are wondering though, why you even need to use a kitchen splashback in the first place, consider this. Kitchen splashbacks are very easy to clean and because of their nature, cannot provide room for molds or mildew to thrive or even grow at all. Kitchen splashbacks are also stainless. So there you have it, a long-lasting and very hygienic wall covering. 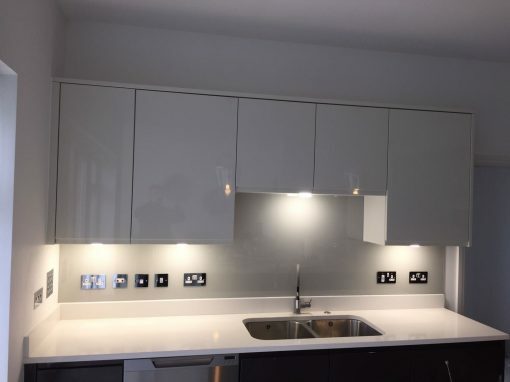 Also, since kitchen splashbacks are produced with toughened glass, they can withstand high temperatures in your kitchen without breaking or even cracking. 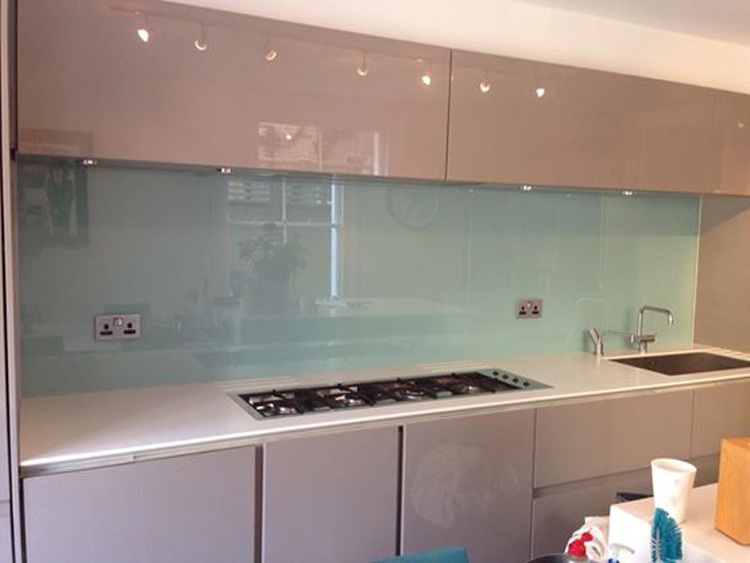 That is why 6mm toughened glass is used to provide the best safety standard for your Bethnal Green kitchen. So what are you waiting for, add that touch of exquisite beauty and protection to your Bethnal Green kitchen walls today by fixing a kitchen splashback.